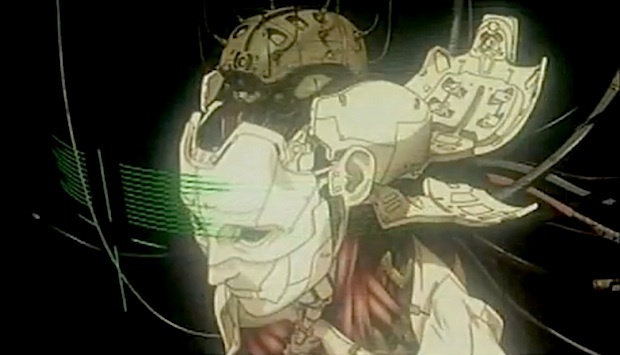 Fancy transplanting your brain into a robot’s body? There’s a Russian chap pouring money into exactly this sort of technology. Read on for that and much more droid news, too. Bot Vid: Quadrotor. James Quadrotor. The University of Pennsylvania’s GRASP lab has done it again–another quadrotor video that’ll make you gasp. This time the team has taught a swarm of quadrotors to play the James Bond theme tune on a selection of musical instruments. It’s astonishing, and even comes with its own special Bond effect light show. On a more serious note, the swarm precision here demonstrates how hugely complex tasks could be performed by groups of these machines. And the drum-tapping bot is a hint at how quadrotors may find a use performing repairs or clean-up jobs on the outside of structures like skyscrapers. Remember this crazy plan to get a Robonaut android strolling on the surface of the moon as cheaply and bureaucracy-free as possible inside a 1,000 day window? It’s still motoring along on the DL inside NASA, and now has evolved from being merely “Project M” to being “Project Morpheus.” Just this week the totally new rocket engine of the lander vehicle got its first firing test. Fingers crossed that the next stages of the project click into place just as smoothly. Robots in Fukuskima. Robots are again putting themselves to use rolling around the poisonous, radioactive wreckage at the Fukushima reactor site in Japan. This time the new machines, Quince 2 and Quince 3 are actually sporting enhancements made after Quince 1’s trip into the radioactive hot zone last year–disaster begetting innovation. The two bots performed dust sampling and radiation and temperature measurements, and Quince 3 even has a 3-D scanner aboard to enable super-accurate assessment of the structures inside the smashed buildings. The goal is to garner enough information to make it possible to retrieve fuel rods in the near future. Robots that find things. One of Japan’s newest robot developments is EMIEW2, and though the child-sized droid looks a little comedic it has a power that may make it the most immediately useful household robot yet: It’s imbued with AI that lets it scan and recognize many objects around it, including human faces, and remembers where things are and where you move them too. Thus if you quiz it about where your wristwatch is, it’ll probably have scanned it and remembered that you put it on the table absent-mindedly. EMIEW2 is a tech test-bed, and thus won’t be sold, but the skills it possesses will be vital in medical environments and when robots are used in homes for the elderly. Open source robo-surgeon. University of Seattle researchers are trying something that could revolutionize surgery: They’re releasing a flock of robot surgeons into the wild and they’re open-sourcing their operating code. The machines are called Ravens, and originally they were developed as a compact tool for battlefield medical interventions–compared to machines like Da Vinci they’re small, pretty portable and relatively cheap (costing around $250,000 verus Da Vinci’s $1.8 million). The devices hit research institutions around the U.S. recently, and the goal is to foster real innovation in making these robot surgeons better at their jobs, and perhaps better than fumble-fingered fallible human surgeons. When you think about robots and humans interacting (oh, just admit it — you do!) your mental image is probably of a telepresence robot. But a Russian entrepreneur has revealed plans that are altogether more sci-fi like. Dmitry Itskov, it’s been reported, hired a hundred scientists to work on a project he’s called Avatar, after James Cameron’s epic film. The name is no mistake: Itskov plans to transplant a human mind into a robot’s body inside a decade–the ultimate man-machine interface. Itskov’s plans are staged: At first just a human brain would be transplanted, living inside a life-support system inside an otherwise all-robot body. Later he plans to download a human consciousness into a wholly artificial brain, and ultimately forsees a holographic body may be possible. It’s a pathway to immortality, he suggests. Suspend disbelief for a moment, and you can see the plan has merit: Disabled people or those with a terminal illness would be able to live totally different, longer lives. And soldiers could be super-powered, with in-built radar, armor and so on. Exploring space or other planets wouldn’t be such an issue. And so on. But now bring that disbelief roaring back. Side-stepping the ethical and legal issues this sort of development would raise, imagine what would happen if (after first working out what a human consciousness is, and how to access it to “download”) you did echo a human mind into a robot body. The human would remain alive, and ultimately, inevitably face death. There’s no immortality here. Transplanting a human brain into a robot body is slightly more plausible, though the reliability and complexity of the life support system would have to be incredible, at least with current levels of technology. Holographic bodies? That’s pure Red Dwarf sci-fi. On the other hand, (a third, robotic hand? ), DARPA is spending millions of dollars on an “Avatar”-like project to put soldiers in direct mind-control of a remote android. So you never know.